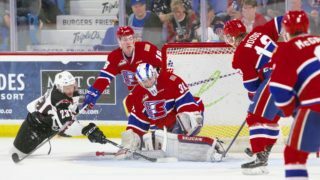 Former Spokane Chiefs forward Drayson Bowman added a Kelly Cup to his hockey resume over the weekend, winning the ECHL Championship with the Colorado Eagles. 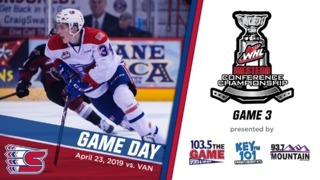 Colorado battled back from a 3-2 series deficit to defeat the Florida Everblades in seven games. Bowman, 29, appeared in 265 regular season games with the Chiefs between 2005-09, good for 26th in franchise history. 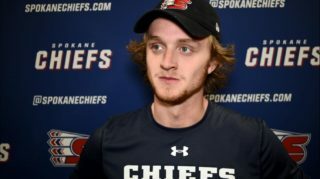 The sharp-shooting winger ranks seventh in Chiefs history with 130 career goals scored and 16th in points with 242. 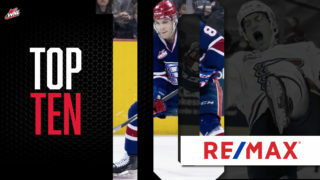 He scored over 40 goals in back-to-back seasons to close out his Western Hockey League career. 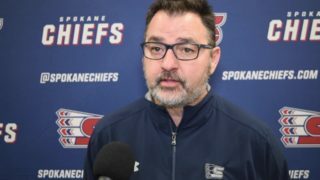 Bowman added on 39 career playoff games with Spokane, including 21 during the Chiefs’ 2008 WHL Championship and Memorial Cup runs, scoring 21 total playoff goals and 40 points. A third round (72nd overall) pick by the Carolina Hurricanes in the 2007 NHL Entry Draft, Bowman has appeared in 180 NHL games between Carolina and Montreal, scoring 15 goals and 33 points. 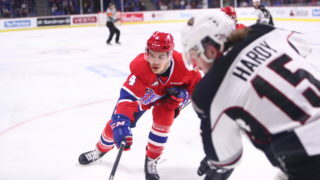 After 264 career AHL games (mostly with the Charlotte Checkers) and a one-year stint in the German DEL last season, he returned to North American to play for the Eagles, posting 20 goals and 55 points in 65 games this season. He tacked on 11 points (5G-6A) during the Eagles’ playoff run.